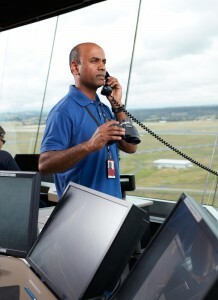 If you have previously been trained and rated as an air traffic controller, you may be eligible to apply for a position as an experienced controller. If selected, you will first complete a short course (approximately six to 12 weeks) at our Learning Academy in Melbourne. Your remuneration will be consistent with your years of experience. 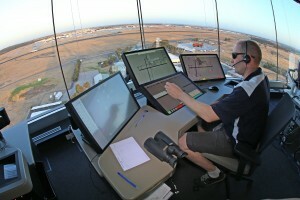 been employed as an operational air traffic controller within the last five years AND been employed within an air traffic control field such as instructing during the remaining time. On commencement, you must attend induction and familiarisation training which will usually be conducted at our training facilities in Melbourne. During the recruitment process we will complete an individual Training Needs Analysis which will be used to ensure you are provided with the appropriate level of training dependent on your experience. Training at our Melbourne facilities will usually take between six and 12 weeks. This will be followed by field training at the final location until you achieve a rating. All training costs, including accommodation in Melbourne and travel expenses, will be paid by Airservices. A training bond is applicable to recover these costs should you resign within the first five years. While every effort is made to keep the recruitment process as short as possible, please understand that the process is thorough and will take some months to complete. Interested candidates must apply via our website. If you would like to be notified when new opportunities become available, subscribe by entering your email address in the ‘send me jobs like these’ area. Please note that due to the large volume of applications received we cannot accept emailed resumes or expressions of interest. Please allow up to six months for the recruitment process. If successfully selected, you will be notified and selected for a specific commencement and course date, which can be in a further three to 12 months’ time, depending on availability. 1. Online application. When applying online, you will be asked to provide documentation to support your application. The more information you provide the better we are able to assess your suitability for a position as an experienced air traffic controller. 2. Online ability assessments. The assessments to be completed are verbal reasoning, numerical reasoning, numerical calculations and a checking test. These tests represent an important benchmark in assessing the capability of candidates and must be passed to progress to the next stage of the recruitment process.